Recently I was offered the chance to have one of my dogs DNA tested to try to learn more about them. Both were rescues so it’s hard to find out much about them. I believe that they are both saluki, as does our vet, and the Dogs Trust where we adopted them from also did. They look like salukis, act like salukis and even run like salukis. 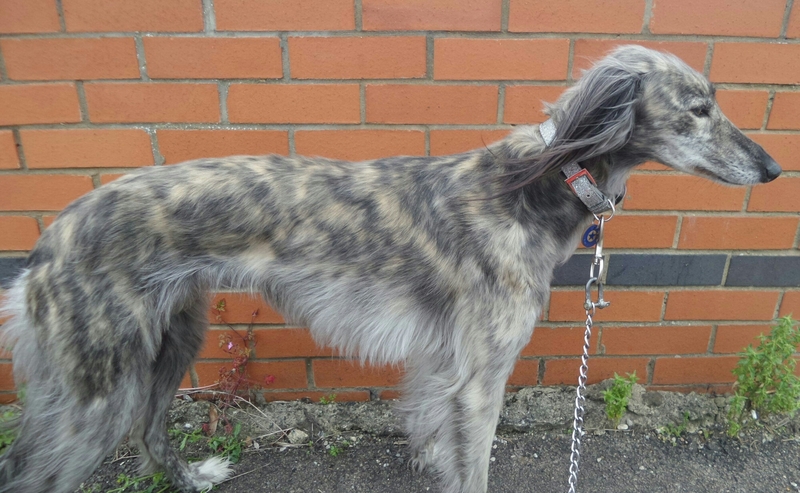 I can’t accept that either of them is not saluki really, at least 80% saluki I assumed. However that is not what Doris’ test said! I’ve crossed out the family name and Doris’ I.D number but this is apparently “her”. Mostly greyhound and a good chunk of poodle. I’m not saying it is wrong, but I am struggling to accept it. The vet says nope! 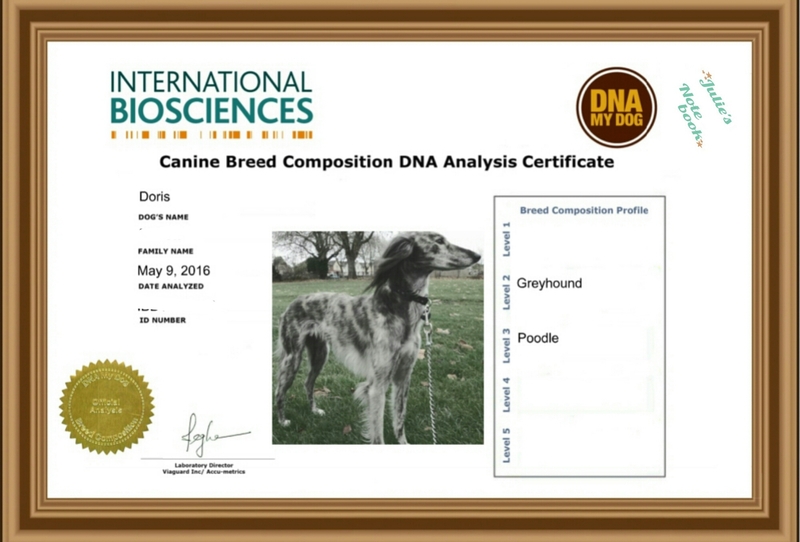 The service itself is good, you pop on to a website that then recommends the most suitable DNA testing service, in Doris’ case International Biosciences was the recommended company. They sent out a kit including some forms, swabs and envelopes for posting back to International Biosciences. It’s easy enough to use in theory, luckily Doris was fine with having the swabs rubbed on her cheeks. I reckon Freya would have been rather fidgety and less cooperative. When I posted off the samples I received an email from International Biosciences within a few days, and was politely told that I’d get results in around two weeks. Just as promised, the results were emailed to me, and I was also sent a well printed version so I could frame it if I wanted to. I guess a DNA certificate could be very helpful if you are breeding pedigree dogs, but for us it was just a curiosity thing. 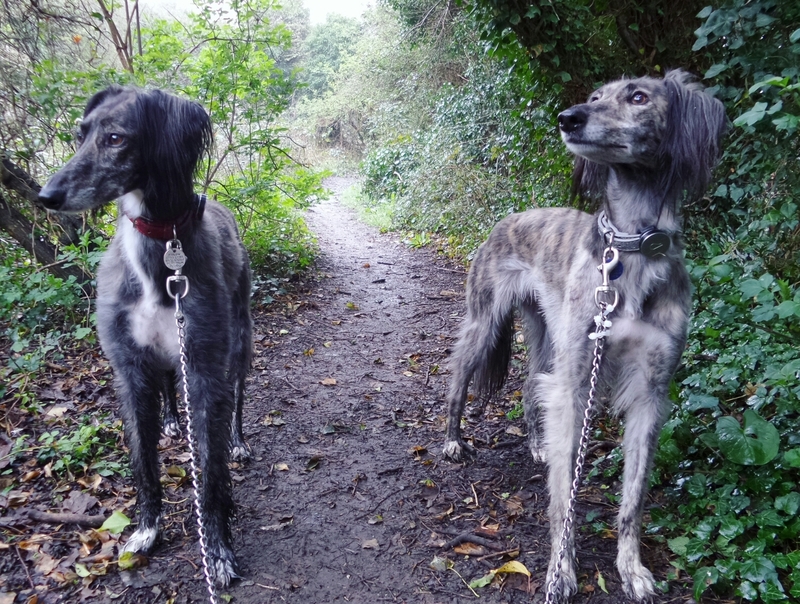 I still believe that Doris is Freya’s mother, and I’m still going to called them both salukis. Greyhound I could accept – she has a greyhound shape, but Poodle? Nah! She’s not at all poodle-like in personality or appearance. All that said I would still recommend trying Genetictestkits.co.uk – not just for hounds, they mainly do people testing. Paternity tests, and tests to check your ancestry. Pricing varies based on test types, how fast you want it doing, and the company you choose. Disclosure : We were sent a test for Doris for the purpose of this review. 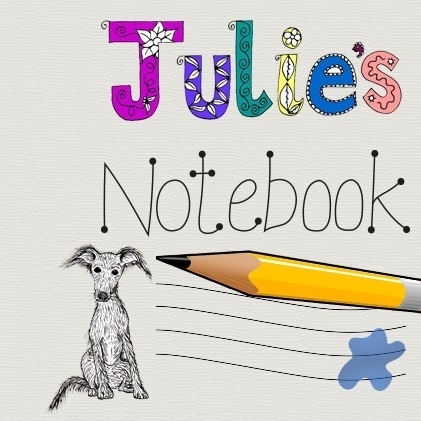 Great post Julie. I have a german shepherd and she looks 100% german shepherd but I adopted her same as you and I cannot know for sure. I will try the test when i get some money after Christmas. Fred recently wrote… Can Dogs Eat Peanuts? Safe and Unsafe Nuts.